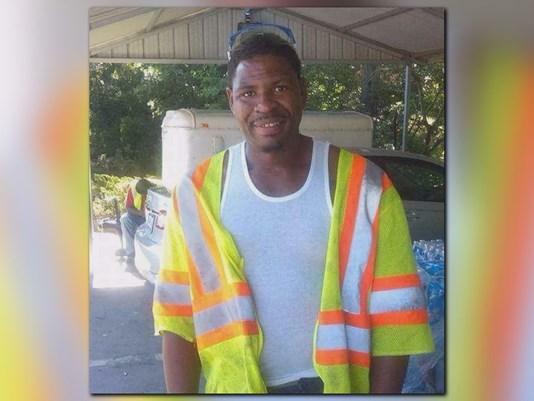 COLUMBIA, S.C. -- Officials in South Carolina say they’ve made arrests in the killing of a man who was seen dead on a police reality television show. 37-year-old Benjamin Johnson, a father of four, was shot dead in what police say was an altercation during a drug transaction at a Columbia home on Friday. He was pronounced dead at the scene of a single gunshot wound to the chest. As Richland County Sheriff’s deputies responded, they were being followed by a camera crew to film with A&E’s “Live PD,” a show in which cameras follow police officers and show events as they’re happening, according to CBS affiliate WLTX. Johnson’s family has said they learned of their son’s death through the show. They were shocked and devastated, they said, when they saw Johnson’s body on TV in the front yard of the home. Speaking Thursday, Sheriff Leon Lott announced the arrests of Antonio Green Jr. and Roosevelt Durham Jr. in connection with the killing. Green and Durham are facing murder charges, and Green’s wife Porchia Green is facing drug charges, the department said in a news release. Lott told reporters that Johnson’s face wasn’t shown on the show and said the department didn’t identify the victim on television. He said Johnson’s family “made a determination based on what they saw” and were notified of the death through the coroner’s office, not via the show. But Johnson’s cousin Lashaunda Robinson told the station she recognized the house and Johnson right away. “I just couldn’t believe it. He was just laying there and they were still filming it,” Robinson said. A spokesperson for the department has told WLTX they agreed to allow the show to film with them, but didn’t choose what to air on television. Live PD and A&E executive producer David Doss told WIS-TV crews didn’t immediately realize the person they were filming was fatally wounded. When they did realize it, the cameras panned away, he said. He said it’s not the show’s intention to notify family if a loved one has died. Deputies say the Greens and Durham went to Johnson’s house to buy marijuana and the group got into an altercation during which Johnson was killed. Officers say they found drugs, scales, and a gun at the crime scene.